It is sad that the present generation is quite unaware of a television channel that was an integral part of the social life of two past generations. 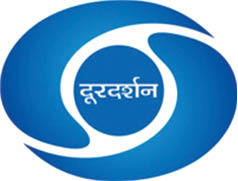 It was an era when the entire country watched Doordarshan (DD), the State-owned National channel. Thanks to DD, weekends became occasions for community get-togethers - it helped bond the neighbourbood. Proud owners of black and white television sets (and their huge antennas jutting out of terraces) played host to many of their neighbours. Doordarshan, which is at present the autonomous umbrella body of national and regional television channels, was launched in 1959, and for more than forty years it remained the sole TV content provider in India - before the advent of Cable TV. The Star TV network, followed by Zee TV, entered our homes in the early 1990s. Who can forget the iconic TV shows on Doordarshan - Hum Log (1984), Buniyaad (1986), documentaries like Peacock Calls (1968), and Transtel Cologne shows from Germany in the 1980s? However, today, in the cities, only a rare breed - comprising artists, writers, musicians and dancers – still watches Doordarshan programmes. For Classical dancers, young and old, Doordarshan remains the window of culture even to this day. TRP-based entertainment channels or 24/7 news channels largely ignore any dance that is not ‘Bollywood’ or ‘Reality Show’ based - though a few private channels do carry interviews with Classical dancers. Before the advent of satellite television, it was a matter of pride for dancers to be featured on Doordarshan dance shows and documentaries, which were eagerly watched by many. Though Doordarshan (National) has had to cut down in this area, its quality of production and its presentation (with genuine, knowledgeable comperes) remains top class. The dance programmes produced by Doordarshan are well researched, conceptualised and documented. The National Programme of Dance, which is aired at 11.30pm, mostly on Thursdays, is one such example. You get to see amazing young Classical dance talent, and of course experienced and established performing artistes also. DD Bharati, a niche channel launched on Republic Day, 2002, is devoted exclusively to art and culture – including Classical dance and music. The Channel also repeats the telecasts of Classical recordings thrice a day, to suit the timings of the art-loving audience. The exhaustive Doordarshan (National) video library, comprising lakhs of recordings, has been passed on to this channel – including grainy recordings of music programmes featuring Ustad Zakir Hussain and Ustad Vilayat Ali Khan, a documentary on the legendary artist S.H. Raza, and the recordings of the Classical dances of Sitara Devi, Birju Maharaj, Sonal Mansingh, Vempati Chinna Satyam and many other legends. DD Bharati covers India’s many annual Classical dance festivals (like Khajuraho, Konark or Taj Mahotsava) and reports on dance events (like the North East youth festival) across the country - either live or recorded, or through documentaries. Despite Government interference, red-tapism and, above all, public apathy, Doordarshan has soldiered on, while its sister channel DD Bharati is putting in exemplary effort to showcase art and culture despite no sponsorship or corporate funding. Today’s telly-box, featuring more than three hundred channels, has become more a purveyor of publicity or voyeuristic entertainment – for the ‘stars’ of Bollywood, cricket and politics. Do spare a thought for our Classical culture and our artistes, across all fields. Do check out DD Bharati and sample some top class performances, and documentaries on the lives of legends. Thankfully Doordarshan has remained a faithful national beacon, dutifully highlighting India’s Classical culture.